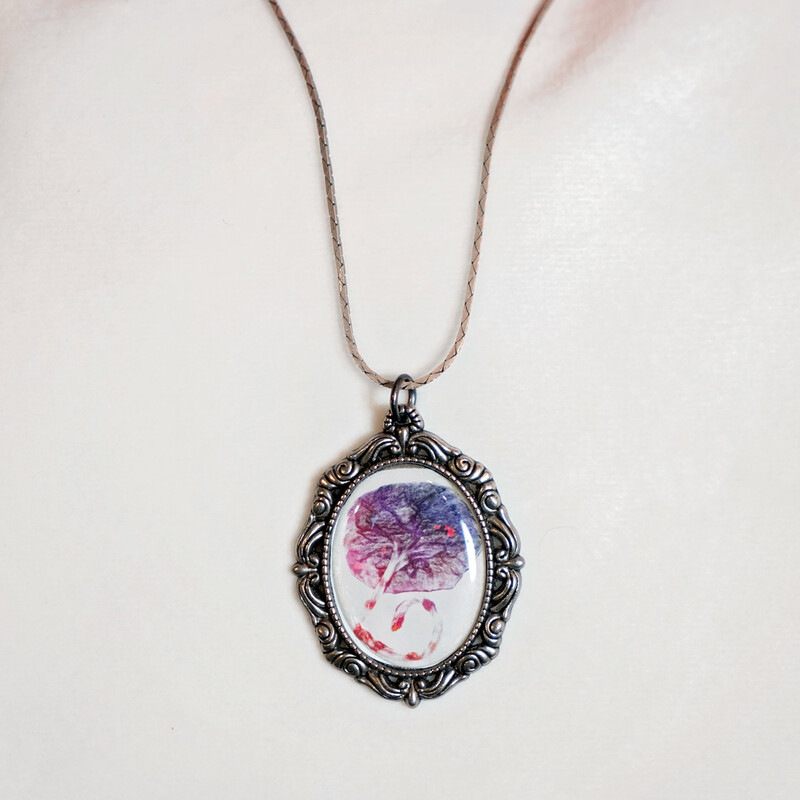 Beautiful pendant featuring placenta portrait artwork from PlacentaLove.com. Your pendant is a printed piece of art, protected underneath a clear shell. Approximately 1 inch tall and 3/4 inch wide. It arrives in a jewelry box, ready to give as a gift to the placenta fan in your life, with a stainless steel 18" chain for a ready-to-wear necklace.